Ray Marshall Law has successfully represented clients by providing personalized service to hundreds of clients throughout North Carolina and delivered fair compensation. Property owners and employers have a responsibility to make sure an environment is safe. 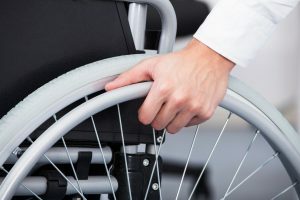 If a property owner or employer is aware of a potential hazard and chooses to do nothing about it, resulting in wrongful death or traumatic brain injury, a negligence claim is warranted. Ray Marshall Law is ready to handle your personal injury claim resulting from these types of injuries, be the claim big or small. Ray Marshall Law has the experience and talent to pursue your personal injury case successfully. To schedule a FREE, confidential, no obligation consultation, submit our case form or call now at 336-777-0046. Our clients have no out-of-pocket expenses, and if we don’t get you any money, we won’t charge you a dime. Ray Marshall Law vigorously pursues all serious injuries stemming from personal injury accidents. To speed the process, call or submit your case online now.